The Sancho Panza Bachilleres, discontinued in 2006, is a tasteful bold Petit Corona, 4’.” (116mm) long, of 40 ring gauge, and comes in a 25 cigars box. This Habano from Sancho Panza is authentic "Franciscano" (Francisca monk, in Spanish), not only because it receives this factory name but for its merits: roughness, soberness and strength. Like all the rest of the brand, these cigar seem to have originated from old Castilian ancestry. If you like your Habano tough and with Sanchos will certainly your needs. 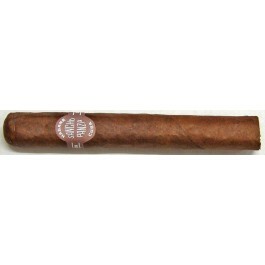 A strong small cigar which reminds us of the glory days of Cuba.